February 8, 1924 Ada Lois Sipuel Fisher, the first African American to attend law school in Oklahoma, was born in Chickasha, Oklahoma. Fisher graduated from Langston University with honors in 1945. In 1946, she applied for admission to the University of Oklahoma School of Law, but was denied because of her race. On January 12, 1948, the United States Supreme Court ruled in Sipuel v. Board of Regents of University of Oklahoma that colleges could not deny admittance based on race. In reaction to the ruling, the Oklahoma legislature created the Langston University School of Law. Fisher refused to attend Langston and announced her intention to appeal to the U.S. Supreme Court. As a result, she was finally admitted to the University of Oklahoma School of Law on June 18, 1949. After admitting her, the law school gave her a chair marked “colored” and roped it off from the rest of the class. She also had to dine in a chained off guarded area of the law school cafeteria. 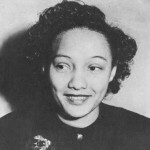 Despite these hardships, Fisher earned her Masters of Law degree in 1951. After graduating, she practiced in her hometown and was a professor at Langston University. In 1992, she was appointed to the Board of Regents of the University of Oklahoma. 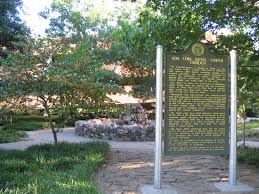 The Ada Lois Sipuel Fisher Gardens on the campus of the university is dedicated in her honor. Fisher died October 18, 1995 and in 1996 was posthumously inducted into the Oklahoma Women’s Hall of Fame. Her autobiography, “A Matter of Black and White: The Autobiography of Ada Lois Sipuel Fisher,” was published in 1996.